The Department of Public Health Dentistry aims to build up oral health need records of the community, develops and plans strategies to meet those needs, deliver oral health services to the needy and the deprived segment of the community through outreach programs, provide transportation services for the patients to reach the college for accessing treatment. The department is entirely equipped for carrying out all kind of public oral health programs. Department frequently conducts camps and oral health education programs in various institutions, primary healthcare centers, community halls, public and private sectors undertakings in rural as well as urban areas through 2 fully equipped mobile dental vans with seating capacity of 14 people. Department is very well equipped with 28 dental chairs for carrying out all comprehensive dental care for OPD patients. Department also has its own digital seminar room for students to improve their knowledge and skills in an interactive manner. The department bags a capacious library with good number of latest resourceful books and Online access portal for journal (Ebscohost) thus providing most recent information available in the literature. Library has a seating capacity for 12 individuals. Outreach activities include , Camps , School Oral Health Program, satellite centers and field visits. Department operates 7 satellite centers rendering dental services in rural and urban areas. 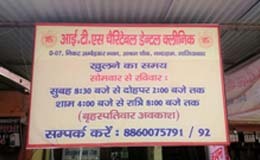 It is an attempt to provide dental care near their house to utilize the health services in its maximum range. Dental doctors skilled in clinical expertise along with interns are posted in all satellite to cater to the needs of the community. 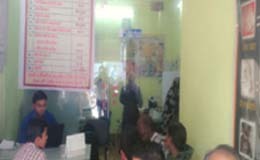 Tobacco Cessation Clinic: (TCC) :It is the most effective way of health intervention to reduce the impact of tobacco related mortality and morbidity. UP being the “Gutka Belt” needs reinforcement / counseling among patients to quit the dreadful habit – making TCC an absolute necessity. Our Department has state of the art TCC with intra oral camera along with NRT regimes to make simple and easy for patients to motivate them quit the habit. It is the most effective way of health intervention to reduce the impact of tobacco related mortality and morbidity. UP being the “Gutka Belt” needs reinforcement / counseling among patients to quit the dreadful habit – making TCC an absolute necessity. Our Department has state of the art TCC with intra oral camera along with NRT regimes to make simple and easy for patients to motivate them quit the habit. 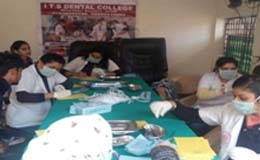 This program involves weekly lectures seminars , demonstration of recording indices like :-DMFT / DMFS, OHI – S, Periodontal index, Gingival index, Deans fluorosis index .Students prepare oral health education material posters, chart & models on different topics so that it will help to educate patients in simple way . Field work like school dental check -up , diagnostic Camps in rural areas to asses the oral health status of village people emergency treatment & health education including possible preventive care. Students show different brushing techniques to the patients on models .They show plaque control measures to the patient by using various disclosing agents &oral rinse programme. Diet counselling is done to the public to reduce caries. Students give the oral hygiene instructions also administer topical fluoride therapy and pit and fissure selants. Eduacate patient concerning the etiology and prevention of oral disease and encourage them to assure responsibility for oral health. The postgraduate section is fully equipped with air conditioned dental chambers given each student to expertise his own work. The seminars, journal clubs, CPC, paper and poster presentation by the students improves their proclamation and oration skills. Students have to organize camps, field visits to gain knowledge in practical way. Students have to attend workshops, CDE programmes, lectures, seminars, webinars and presenting posters & papers in various national and international conferences to gain exposure to the recent advancement of dentistry. 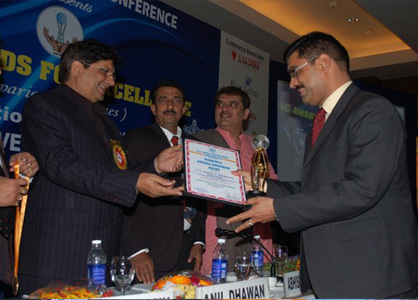 “Rashtriya Shiksha Shiromani Award” For Contribution In The Field Of Education At All India Achiever Conference International Conclave.